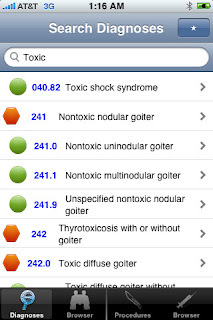 ICD9 Consult is an iOS app that is an excellent point of care (or point of filling out a charge sheet..) ICD-9 reference. 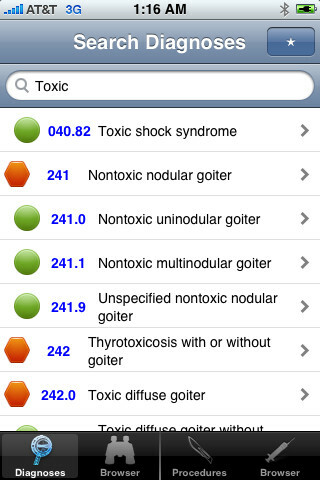 This app contains all of the 2012 ICD9 codes, which can be searched in several different ways. This app is well designed, responsive, and comprehensive. Coding apps like ICD9 Consult are essential to hospitalists, intensivists, and other on the go medical specialists that do not have the luxury of going to an office to fill out charges. A free version of ICD9 Consult is also available.